If you’re having issues with your ThoughtOffice installation, check this out. It’s a quick, 3-minute how-to video. To recap, the most important step is to make sure ThoughtOffice is installed to the Applications folder, by dragging it into “Applications” from the Desktop. For those who like written instructions, here is a quick step-by-step explanation of how to Install ThoughtOffice on your Mac. 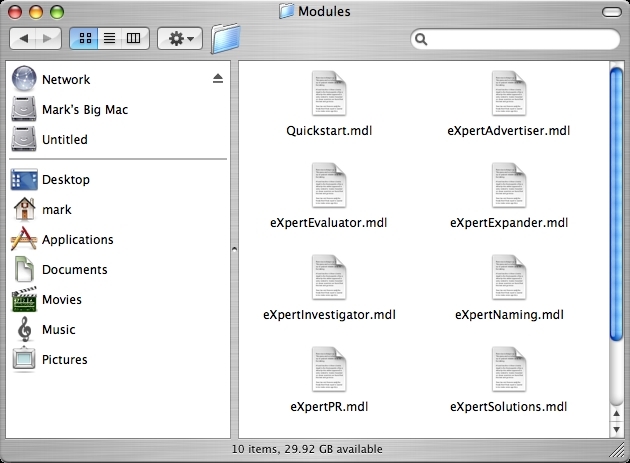 Create a folder (call it ThoughtOffice) as a sub-folder of your Applications folder (within the Applications folder). Double click the DMG file you downloaded from our site. The ThoughtOffice program image will then mount to your hard drive. 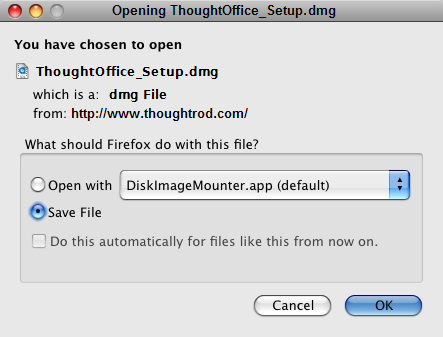 Drag & drop the ThoughtOffice application and all the files and folders (created from the DMG) into the new ThoughtOffice folder you created in the first step. Again, be sure that your ThoughtOffice folder is located within your Applications folder. If not, drop the ThoughtOffice folder into the Applications folder. Drag the main ThoughtOffice app out to your Dock to make it easier to launch. Still unsure what to do, or having trouble getting ThoughtOffice installed? E-mail us right now at fulfillment@thoughtoffice.com. We’ll get back to you as soon as humanly possible! Enjoy, and thanks again for using ThoughtOffice Brainstorming Software.